Front Load, Rear Load, Cart and Roll Off services available for businesses on a temporary or permanent basis. Roll Off services available for construction sites. where dumpster rentals are made easy! 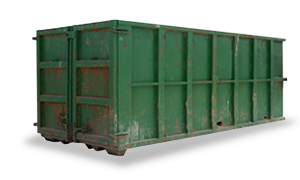 We provide fast, reliable, and affordable dumpster rental services for your home, business or construction site. Whether you are looking for a temporary roll off dumpster for a home project, a construction dumpster for the job site or ongoing weekly commercial services for your business, we can help by making the process quick, convenient and cost-effective for you. Simply enter your zip code, select the appropriate container size and complete the transaction through our secure site. Your dumpster will be delivered at the time and location of your choosing. We offer dumpsters ranging from a 2 cubic yard commercial container to a 40 cubic yard roll off dumpster. Not sure which size to select? By entering your zip code you will be provided with a list of available dumpsters including dimensions and capacities to help you with your selection. It is our privilege to be your one stop shop for all your waste removal needs. Schedule your dumpster rental now!